The best time of year for baking is the holiday season, and baking is one of my favorite hobbies. My grandmother, who passed away last year, was a very skilled baker. 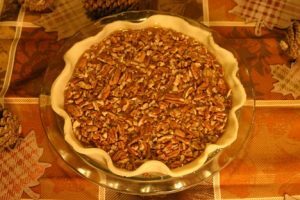 After she passed, I decided I wanted to keep her delicious recipes alive, which includes her famous pecan pie. The foundation of any good pie is the crust. 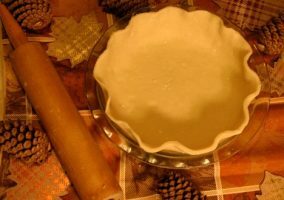 Pie crust made from scratch is a simple recipe with only six ingredients. First combine the flour, lard and salt together in a large bowl. Mix them together until they resemble a coarse meal. 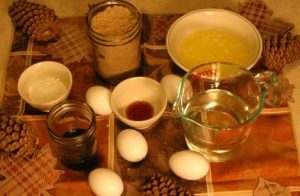 Then whisk together the egg, water and vinegar. Add this mixture to the dry ingredients until a ball is formed. 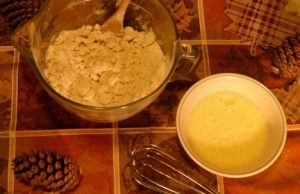 Roll out the dough onto a floured surface. I used a pizza cutter in order to trim the excess crust, and then shaped the edges into a wave pattern with my hands. 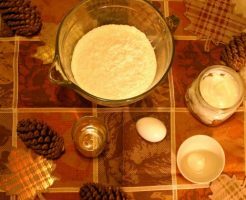 In a mixing bowl, beat sugar, flour, butter and eggs. Add the corn syrup, molasses and vanilla. Mix until the filling is smooth. 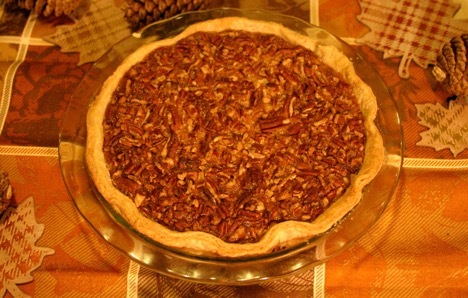 Pour the filling into the unbaked pie shell, and then arrange the pecan pieces to your preference. Bake the pie at 350 degrees Fahrenheit for 50-60 minutes, or until the middle has completely set. Let the pie cool for at least an hour before serving, and then enjoy the final result with friends and family! Camille Roloff is a freshman from Martinsville, Indiana, double majoring in Art and Communications. She is a writer and photographer for the Pleiad, and is also a part of the Albion College softball team.